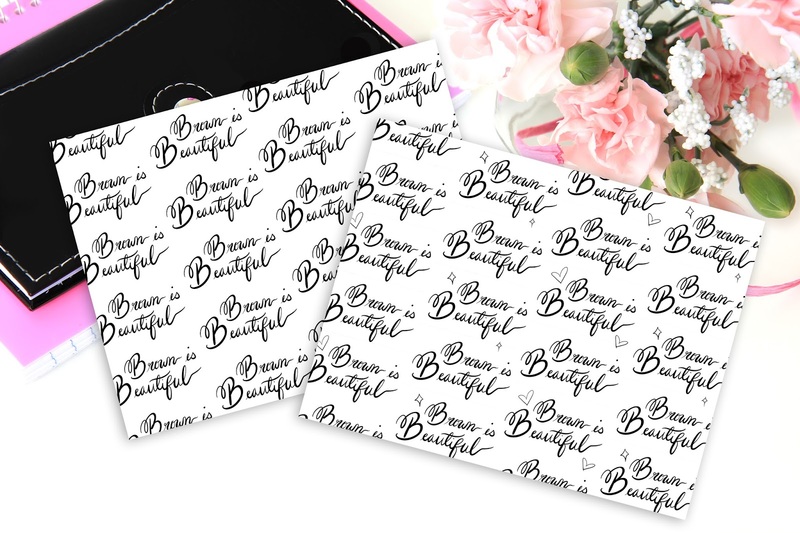 Free Digital Download : Vellum "Brown Is Beautiful"
After being in the creative planner community for over 3 years, I have noticed a lack of inclusiveness among the artwork being created by artists. While artists are now beginning to create and promote equality with their graphics and art for all demographics, their "inclusivity", still, does not always represent everyone. Myself, and many other olive to dark skinned ladies have contacted each other regarding this issue and are starting to speak up about our needs in this community. With that being the case, I have created a digital paper, with the help of my talented sister, for all your vellum needs! You may use this for PERSONAL USE ONLY, and may not redistribute or share the direct files amongst yourselves. Do not edit the file in any way. Please credit this blog when sharing. That being said, if you do want to share where you got the digital paper, please link to my blog, not the direct files.